This article gives a thorough perspective on some of the major elements in psychosynthesis and is a great introduction. 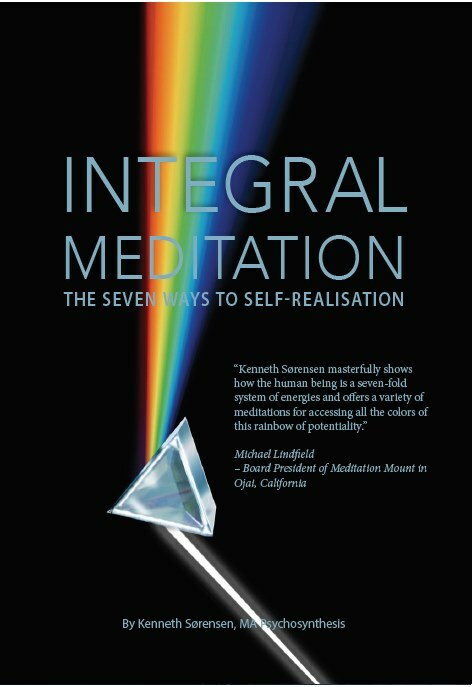 It deals with self-realisation within an individual, social and universal context. This is the second of two companion articles which present concise and thorough overview of psychosynthesis as a whole system. The former article, Psychosynthesis and Western Psychology Russell addresses the question, “How is psychosynthesis related to other psychologies?” This article is a response to the question, “How does psychosynthesis view human beings and their world?” Since practical applications are discussed by many other authors, I focus here on the abstract and theoretical. bringing to the foreground a world-view which is the context in which techniques are applied. The word “psychosynthesis” is often used in two distinct ways. In its broad sense, it is a name for the human experience of syntropy-nature´s tendency to evolve toward ever-more inclusive and highly-organized wholes In this meaning, psychosynthesis is a process, a trend. a goal; and reducing it to definitions or theories confines. limits and distorts what is essentially a living process-one of the mysteries of the universe. However, in its more narrow sense, “psychosynthesis” denotes a particular form of transpersonal psychology. As such it must be expressed in terms of propositions and hypotheses which can be tested using the scientific method. This article is written as a reference work for theory-building and refining knowledge of psychosynthesis as a scientific psychology. My intent is to provide a comprehensive statement in the language and metaphors commonly used in psychosynthesis literature and training programs. I see this as a step toward delineating already-existent assumptions, models, theories and hypotheses leading toward a general theory of psychosynthesis. 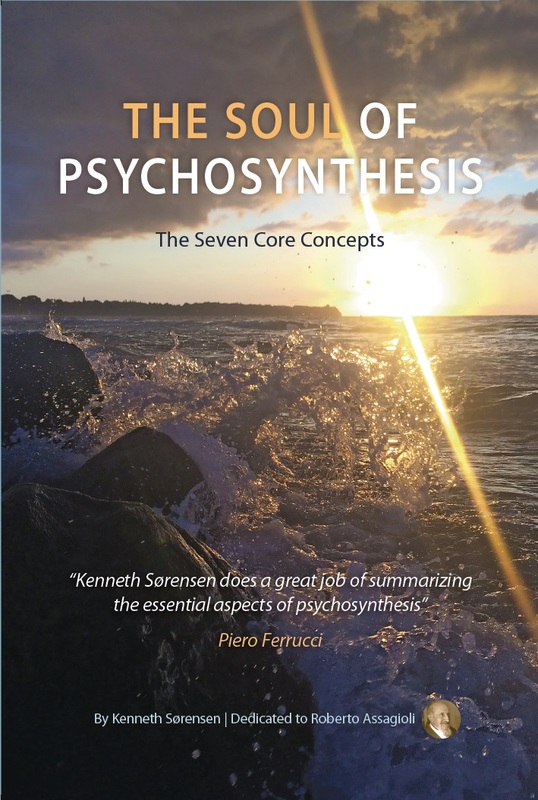 The fundamental assumptions of psychosynthesis are presented here through a discussion of seven constructs: synthesis, personality, evolution, energy, higher consciousness, the Self, and the will. Each construct is a detailed set of relationships and ideas. 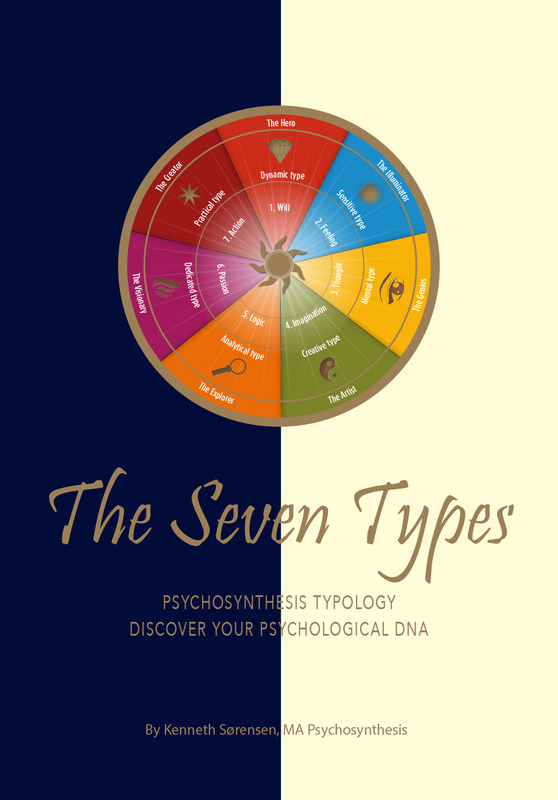 All seven are interwoven in psychosynthesis so that explaining any one of them involves mentioning several of the others. Thus while each section of this article could stand alone, a full picture of any one construct emerges only when all seven are studied together. The word “synthesis” comes from a Greek root meaning “to put together.” “Synthesis” is the combining of various parts to form a coherent whole. In its theory, psychosynthesis puts together various aspects of Western psychology with mystical and religious viewpoints. In its methods, psychosynthesis combines techniques of psychotherapy, education and spiritual disciplines. Its goal is to foster a synthesis of the psyche. When there is a true synthesis, the result is something new. In chemistry, for example, either hydrogen or oxygen alone manifests as a gas, whereas their combination can be a liquid-water. The fusion of diverse elements can also release tremendous potentials, as evidenced by some nuclear reactions. For individuals, a personal synthesis begins with the resolution of inner conflicts and the combining of diverse personality elements leading toward a sense of wholeness and harmony. As this personality integration is realized, a deeper synthesis becomes possible wherein the ordinary personality is fused with extraordinary human qualities and abilities so that a transformation occurs internally and in relationships. In this process, limitations are transcended and a new sense of identity emerges-new depths of power, love and creativity are contacted and expressed in everyday living. In human relationships, the synthesis of two people in friendship, partnership or marriage can generate new possibilities far beyond the capacities of the two individuals alone. In some cultures, the deep relationship of two individuals is believed to create a third entity which has its own energies and characteristics in addition to the attributes of the two individuals involved. Both partners are thus enriched by their union as individuality and separateness are transcended. A form of synthesis can also be observed in groups. Sometimes a team functions so well that it becomes something more than a collection of individuals. The team seems to act as one entity, with its many facets perfectly related within the whole. Many groups take on a collective identity. A given organization or a nation has qualities and characteristics that affect all the individual members. Psychosynthesis also recognizes a potential for the synthesis of humanity as a whole. Great ideals or principles could be applied to all human behavior for the realization of planetary cooperation and harmony. Such ideals of conduct have been presented in many spiritual traditions and in such political documents as the Magna Carta, the Bill of Rights, and the Atlantic Charter. Such teachings and documents embody principles which, if followed, would lead into an era of goodwill, peace and disarmament. Many signs of the beginnings of planet-wide synthesis are evident through developments in the twentieth century. The formation of a United Nations is a step in the political arena toward synthesis. The proliferation of international scientific conferences demonstrates that there is a world community of thinkers and explorers who want to combine their efforts. There are more cultural exchange programs than ever before, and a great deal of foreign travel mingling peoples of various lands. There are more summit conferences, a European Common Market, and a recognition of a large group of nations with similar issues-the Third World. Universities offer more and more programs in interdisciplinary studies and fields that used to be separate are now seen as interrelated. Psychosynthesis aims to foster this synthesis of individuals, couples and groups contributing toward the synthesis of humanity. Psychosynthesis promotes synergy, where people joining together generate ideas and projects that release tremendous power. Synthesis creates fusion and the birth of new wholes. Psychosynthesis holds the belief that the potential for positive change on our planet is enormous when many individuals unite in a spirit of cooperation to strive toward common goals. Many people are already attuned to the spirit of peace and the power of synthesis. They choose to participate consciously in the larger whole. They identify themselves as planetary citizens, members of the family of humanity. These people have already achieved some measure of synthesis within–a necessary step toward inter-individual psychosynthesis. They have learned to overcome the inner fragmentation, the sense of alienation, the effects of so much stimulation in our urban environments. Psychosynthesis is one means for us to move toward that inner harmony. With a sense of wholeness within, individuals can draw on inner resources to sustain responsibilities and commit to higher values, leading to group and planetary synthesis. From the standpoint of synthesis all polarities can be seen as potentially harmonious-as interrelated and complemental rather than necessarily opposed and conflicting. There is a shift from an “either/or” attitude to a “both/and” attitude. On the planetary level, for example, there are signs of the beginnings of a rich blend of viewpoints joining aspects of East and West; North and South; First, Second, and Third Worlds. This creates such possibilities as a global economy that combines the best features of capitalism and communism. As individuals become more integrated as personalities, transpersonal qualities can emerge from the higher unconscious. In other words, when we are not in conflict or fragmented, our deeper human tendencies can come forth. [his combining of the everyday personality with higher potentials is the true individual synthesis. This involves more than altering or rearranging various personality elements. To synthesize the personality with an inner talent or higher quality or transcendent human ability brings a profound change of identity. This kind of change goes beyond an inner adjustment: it changes our world. In psychosynthesis the personal aspect of the individual is seen as interrelated with a whole network of other personalities, and capable of transcending limitations by contacting and expressing higher human qualities and abilities. The personality experiences separateness, diversity and change. There is a sense of individual identity, a variety of roles to play and a range of actions, thoughts and feelings each day. The personality is thus a multifaceted, dynamic entity with the potential to grow throughout the life cycle. The growth process is seen as a series of awakenings. New awarenesses require a reordering of personality-elements to accommodate a broader self-concept New modes of experience and expression and new degrees of mastery become evident as life goes on. The goal of personal psychosynthesis is to promote growth and to integrate this personality: to coordinate various personality aspects, to resolve inner conflicts, and create a sense of ease and harmony. There is also the recognition that at each level of integration, the personality has the potential to transcend itself once again, temporarily dis-integrating on the way toward a more inclusive and comprehensive sense of wholeness. The personality may be viewed from several perspectives, each of which will be explored below. The personality:(1)as conscious and unconscious elements,(2)has a set of psychological functions,(3) consists of a multiplicity of subselves or subpersonalities; and (4)has a three-part structure-body, feelings and thinking mind-with an integrating center and a relationship to higher consciousness. The dot in the center of the inner circle represents the personal self, the coordinating/integrating center of the personality. The circle represents one´s personal reality at any given moment-awareness of data coming through the senses plus current feelings and thoughts. Just beyond the circle are the personality elements that are momentarily forgotten but easily accessible to consciousness. Recent memories, or skills which are not being used are there, in the middle unconscious. At the upper and lower ends of the oval are aspects of the individual that are being repressed. The lower unconscious contains elements of personal history: various instincts, tendencies and complexes. In the higher unconscious are individual talents and potentials which, if glimpsed by the personality, reveal inner strengths and visions of the future which can inspire one to face the difficulties and barriers along the path of growth~ At the top of the oval is the radiant point that symbolizes the Higher Self, the center of higher consciousness thought to be the inner source of the drive toward growth and self-actualization. The personality reaches new levels of integration by bringing unconscious elements into the field of consciousness where they can be integrated into an expanded identity. He believed that the will was the function closest to the Self-the energy employed by the Self to regulate and direct all the other functions. Such executive and synthesizing abilities discussed by the ego psychologists as ego functions, (Hartman, 1958) are seen in psychosynthesis as functions of the Self. To work on conscious development or planned reconstruction of the personality, the individual can assess which functions are required to his purposes at a given time, and then actively develop any function which is weak All human beings have all the basic functions, although a given individual would likely have a natural inclination to emphasize some more than others. A third way of seeing the personality is through the notion of subpersonalities or subselves. (Vargiu,1974) The idea of subpersonalities is a way of conceptualizing how we shift from one identification to another as we move through life. In a single day we may move through playing the “victim,” “critic,” “lazy-bones,” “striver,” “lover,” “frightened child,” and so on. A subpersonality functions mechanically. It is like playing a tape, acting out a routine; or in psychoanalytic terms a “repetition compulsion.” While a subpersonality is just a portion of the personality, we can become totally identified with it, placing its needs and perspectives above all else. Subpersonalities often act out unconscious motivations to the detriment of the personality as a whole. The subpersonality concept is particularly useful for taking charge of an automatic reaction pattern or for resolving inner conflicts. By recognizing and naming subpersonalities, disidentifying from them and dialoguing with them, their underlying needs and higher qualities become apparent. Their distorted behaviors can be transformed and energies released for the benefit of the total person. A fourth major way of conceptualizing the personality is acknowledging it as a three-part structure-body, feelings and thinking mind- with an integrating center, the self. These three aspects are considered to be means of getting information about the surrounding world: they are instruments of knowledge. They are also means of self-expression: vehicles for sharing our inner world with others. The goal of personal psychosynthesis is to integrate or harmonize the three aspects by recognizing conflicts or splits in the personality and working toward healing them. A classic split in our culture is between mind and body, wherein we overvalue the mind and ignore the body´s needs, leading to stress and disease. Another typical split is between mind and emotions, as evidenced in traditional male/female conditioning. The stereotype is: “men are rational, women emotional.” In psychosynthesis, there is a recognition that every personality, whether it has a male or female body, has mental and emotional aspects, and both aspects must be functioning effectively for any human being to be whole. The values and perceptions of various types can differ considerably. Suppose three people observe a brand-new train passing by and each expresses a reaction. The physical type might say, “That train was enormous and moving so fast I felt the ground shake beneath my feet!” The feeling type might say, “I felt great excitement and a sense of awe as the train rushed by.” The mental type might say, “As the train passed, I was thinking how far humanity has come in technological development in the past one hundred years.” Each of the three types observes the same physical phenomenon but has a very different internal experience. A repeated theme in this section on the personality is the idea of a central identity: the “I” which governs the various personality vehicles or functions. Just as an automobile may be driven by an unskilled driver, an ordinary driver or a specially trained professional driver, so the personality vehicles may be governed by various aspects of the individual, which greatly affects the quality of expression of the personality. When governed by a succession of sub-selves, the personality is divided or conflicted and cannot function with integrity. When governed by the centered self or personal self, the personality functions in an integrated manner, with awareness of self and others, and a sense of inner freedom of choice. When governed by the Higher Self, the personality is capable of functioning at its highest and best level, actualizing potentials and translating peak moments into actions which upgrade the quality of life for all. This construct envisions the continual changing of our personalities and our universe as a process with a definite direction, with cycles and patterns. This is the growth process-a natural progressive movement occurring in individuals and in all humanity. Psychosynthesis agrees with others who see this movement as a series of rearrangements toward increasing order-toward more complex and inclusive wholes. (Fuller, 1963; Huxley, 1953; Szent-Gyoergyi, 1974; Teilhard de Chardin, 1960.) This is the movement toward an ever-wider synthesis. The idea of evolution or growth is so highly valued in psycho synthesis that an article on energy transformation states: “We will define the term ´negative´ energy in this context as psychological energy, including attitudes, thoughts, emotions, physiological states, etc., which is antithetical to our own growth and/or the growth of others; ´positive´ energy will be defined as that which promotes growth.” (Crampton, 1974) A major goal of psychosynthesis is to confront and transform barriers to evolution. Psychosynthesis teaches people to cooperate with and to actively foster their own natural growth process. Psychosynthesis recognizes the patterns of growth that have become widely known through work in developmental psychology. (Erickson, 1980; Lid, 1968; Paget, 1978; Sheehy, 1974) A universal pattern based on the model of a three-part personality involves a focus first on mastering the physical body, then learning to regulate and direct emotional energies, which leads to mental development and the potential for personality integration and transcendence. In early childhood, the main challenge is achieving mastery of the physical body. A baby grows to greater autonomy by learning to feed, dress and clean itself. In grade school the child is involved in a complex network of relationships among family, peers, teachers, and must learn appropriate expression and sublimation of emotions and desires to make a healthy adaptation to the social environment Emotional development continues to be a focus into adolescence where intellectual growth and mastery can become the central developmental task. Moving toward maturity the potential exists for developing the sense of a centered self–an identity which transcends family patterns and social conditioning. Many people can continue growing toward the sense of an even deeper identity–the soul or Higher Self. In humanity as a whole this same sequence can be observed: the movement from focusing on physical mastery to emotional then mental mastery and beyond to higher consciousness. In times when people lived in caves, most of the energy was expended on sheer physical survival. Full-time work was required for gathering food, hunting game, protecting the group from wild animals or hostile humans, and maintaining adequate shelter. As time went on, animal husbandry and agriculture were developed along with cities and specializations. Physical survival then became easier for many, and there was time for growth of human relationships in the realm of emotions and desires. Eventually emotional focus was achieved for the masses of humanity which predominates today. We see political campaigns and advertising appealing to our emotional or desire nature to be effective for the general public. Mental development has just begun for the vast majority of human beings, placing the race at an adolescent stage in its development. Assagioli has compared the relations of nations to immature adolescent behavior. (Assagioli, 1965) Only a minority of human beings today have highly trained thinking mind, and fewer still have the ability to live everyday as a centered self, in touch with the abstract mind and Higher Self. The construct “evolution” embodies a belief that there is an inner blueprint which guides our growth. In plants, such a hidden pattern suggested by the growth of a seed into a mature plant. Each acorn, for example, sprouts and develops following a specific sequence. As bark and leaves are formed they display characteristics that are the same for all oak trees. Even so, each tree develops a unique arrangement of branches. Psychosynthesis assumes that human beings develop similarly: the higher unconscious contains a blueprint for growth which can be brought to awareness. The blueprint has a universal aspect and d unique individual aspect. A person who is out of touch with this inner pattern may experience excessive amounts of stress, pain, or frustration. Tough-mindedness, bold assertiveness and a strong will are aspects of human nature that have their rightful place in the whole, along with peace, love and joy. To be in harmony with our growth means mastering and expressing any human qualities when appropriate. Harmony is also fostered by learning to recognize and accept the natural cycles of change. Personality elements are rearranged from time to time, accommodating new awarenesses and abilities. When this process of integration, dis-integration and reintegration is understood and appreciated, inner peace can prevail even in times of adversity or conflict. A broad sense of perspective can be experienced through all difficulties. There is the wisdom to appreciate that whatever our current experience or sense of identity may be, it is only a moment in time-a step in a larger process of development. The construct “evolution” then, gives us a perspective on life that would have us look at each experience, any condition of life, all circumstances, as opportunities for growth. We can always ask ourselves, “What is the message in this?” “What can I learn from this experience?” and “What is my unique contribution to the group and to humanity at this time?” This is a most constructive approach in which life itself becomes an exciting adventure in learning. Sages of the ancient East believed that all change and all forms were the expressions in time and space of a single universal energy governed by spiritual laws. Modern physicists now embrace a similar view: that all phenomena which we register with our physical senses are made up of energy, which at the subatomic level is governed by the laws of quantum physics. (Capra, 1975; Toben, 1975) When applied to human behavior, the idea of “energy” becomes a synthesizing concept-a common thread linking the viewpoints of Eastern spiritual traditions, the physical sciences and Western psychology. Perceiving the surrounding world from the standpoint of energy evokes subtle awarenesses. Two people may appear to be about same in height and weight, yet our sense of their energy may reveal this. They have very different inner qualities. Energy awareness takes us beyond the world of appearances to the world of meaning. A person may smile and say hello. The appearances is friendly, yet the quality may be sincere and warm, merely polite and formal, or distant and phoney. Thinking in terms of energy is also valuable for getting inner guidance Through energy awareness, perception extends beyond the forms of one´s life into the realms of higher consciousness. To live and move in the world of energies evokes intuitions, revealing new inner qualities and sense of the next step ahead. In groups, guidance can come from asking, “Where is the energy right now?” This often points the way toward solving a problem or provide cues for recognizing that a person or subgroup is strongly motivated to make a contribution. Awareness of the flow of energy gives guidance for facilitating the group process without imposing the will of the leader. Energy awareness, then, aids in developing the potential for transformation, subtle sensitivities and inner guidance. We learn to extend the range of perception beyond the limits of the physical senses. In fact the book “Psychosynthesis” suggests that such expanded perception is experienced by creative artists, geniuses and mystics, who are naturally attuned to higher frequency energies. (Assagioli, 1965a) A task of spiritual psychosynthesis is facilitating the ability to perceive and master these subtle levels of the energy spectrum. Assagioli believed that a major force in psychology in future years will be “psychoenergetics,” having energy as its main focus. (Assagioli, 1980) A system emerging along these lines is which includes psychosynthesis as one of its applied branches. (Gerard, 1973a) Energy field theory in integral psychology postulates that the quality of consciousness is related to the frequency of energies in and around the body. (Gerard, 1972) Thus, the higher the frequency, the more expanded the consciousness. In this view, the more concrete realms of human experience-the worlds of the physical senses, emotions and concrete thoughts-are areas of denser vibration, of lower frequencies. Higher consciousness is directly related to high-frequency. (Golas, 1971) The energy of fear or hate would be of a lower frequency than the energies of love and joy. Techniques have been developed for expansion of awareness and self-transformation based on contacting, absorbing, circulating and radiating high-frequency energies. Psychosynthesis, then, conceives of the universe as one energy which manifests in a variety of ways. We live in a sea of energies of various frequencies which can interact to create forms and patterns. We can learn to extend our ability to experience the vastness of our universe, to aware of broader and deeper levels of the spectrum of consciousness. Then we can ground these experiences in work and relationships to positively affect the quality of life on earth. The wide range of experiences reported by mystics, sorcerers, yogis and masters have become more available to Westerners as psychosynthesists and others have translated spiritual training methods into form appropriate to our modern age. The exploration of an expanded experience of human identity, capacity and potential is a journey into transpersonal dimensions. These dimensions encompass the higher levels of the energy spectrum: realms of higher consciousness that transcend the everyday awareness of the personality. People experience their higher consciousness when they are their highest and best, when their talents, abilities or higher qualities are manifesting. This is an experience of going beyond the usual personal concerns, beyond the semi-automatic and unremarkable activities and awarenesses of dressing, eating, going to work, and relating with others to sustain our existence. Psychosynthesis fosters growth toward higher consciousness in two overlapping stages: personal and spiritual psychosynthesis. In personal psychosynthesis there is a process of mental centering: learning to use the mind to transcend the limitations of being governed by drives. Impulses, emotions, desires, and partial identifications. By training the mind to embrace healthy realistic beliefs and attitudes, to focus and direct one´s energies, one learns to confront blocks to growth, resolve inner conflicts, disidentify from subpersonalities and identify with centered self within. One´s personal reality is enriched and expanded. encompassing a higher consciousness than that of the personal ego. Stepping further into higher consciousness is fostered by transpersonal or spiritual psychosynthesis which facilitates contacting an expressing energies of the Transpersonal Self or Higher Self. The consciousness of the Higher Self includes intuitive awareness, a broad perspective of one´s and the human condition and a sense of purpuse. The field of awareness of the Higher Self is the “superconscious,” where transpersonal qualities and experiences are easily accessible. The goal of spiritual psychosynthesis is the fusion of the Higher Self with the personal self, so that the personality functions as a vehicle for expression of higher consciousness in the everyday world. While the construct “higher consciousness” points to the direct experience of an altered state of consciousness which transcends ego and personality, in another sense, “higher consciousness” is a relative term. Each new step in evolution brings expanded awareness and a new area of mastery, and one´s consciousness is then somewhat higher than the prior consciousness. No matter where a person is in their growth. there is always the opportunity to move toward a higher consciousness than that of the past. This is a dynamic view of human life as a process of continual change with vast future potentialities. Psychosynthesists have observed a great deal of guilt and pain coming from the inability to actualize our potentials-the lack of contact with higher consciousness. 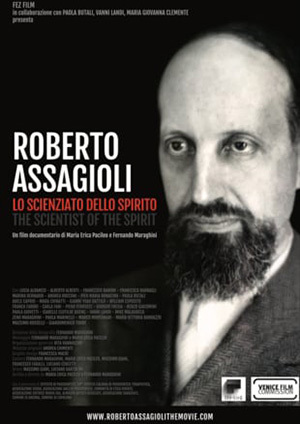 One of Assagioli´s most significant contributions to psychology was to incorporate the idea of a “higher unconscious” -an area of the psyche where higher human abilities are hidden from awareness. He believed that neurotic patterns could often be transcended or eliminated by creating conditions or techniques which allow the emergence of higher human possibilities from the higher unconscious into the world of everyday reality. Many of the defenses which are used to keep the drives or complexes hidden are also used to keep higher qualities from conscious awareness. For example, many people use the defense of denial, dismissing their own potential for love and fulfillment, or ignoring their talents. Others use the defense of projection, admiring very successful people or looking up to political or spiritual leaders rather than owning up to their own special gifts or their spiritual side. It is important to recognize that the synthesis of higher consciousness everyday life is not a matter of completely ending old patterns. Often it is a matter of expanding-of adding more varied experiences life. In fact, a person who begins to meditate, to unblock his personality, to contact high frequency energies, can find some negative frequencies being stimulated by the incoming energies. This is why personal psychosynthesis must accompany spiritual work: to ensure stability and balance in the face of powerful new experiences. Sometimes spiritual psychosynthesis brings dramatic changes in behavior. A person who is transformed may change careers or create new relationships. On the other hand, there are few outward signs of some expansions of consciousness, since they are more qualitative than quantitative. One´s inner life, the quality of one´s inner experience can be vastly altered while roles and relationships-the forms of one´s life-remain about the same. Assagioli has illustrated in his story of the three stone cutters working on building a church. (Assagioli, 1973) Each stone cutter has a different perception and experience of the job. The first is in a dull routine of cutting stones all day, the second is earning a living for himself and his family, the third is joyously building a temple for the Lord. A similar perspective on higher consciousness is that of the integral yoga of Sri Aurobindo, who writes of the results of yogic disciplines being. the “descent of the force.” (Satprem, 1968) Again we have the notion that going “higher” does not necessarily mean to be above the everyday world, out of the body or beyond the reach of people around us. It means to manifest higher qualities of being, here and now, in this world. Karma Yoga is particularly in tune with this idea also: any action can be performed with a high quality of consciousness, in attunement with the larger whole. The good karma yogi, like the third stone cutter, approaches all tasks from the inner space of harmony with the cosmos while serving a meaningful role in this world. Ways of moving into the experience of higher consciousness include reading inspirational literature, listening to great music and experiencing great art. Such creations are produced by people who can touch and express higher consciousness. The highest human qualities are embodied in their works and evoked in us by exposure to them. Meditative disciplines and other spiritual or religious practices can facilitate contacting and integrating transpersonal awarenesses. Sensing one´s participation in the larger whole, acts of cooperation with evolution, and service to humanity can bring a fulfillment and joy characteristic of higher consciousness. Psychosynthesis encourages development of habits which foster high quality living, and arranging circumstance and environments that evoke the high est and best from individuals and groups. Fundamental to psychosynthesis is a deep exploration into experience of the Self. “Who am I?” is a central question here as it is in some spiritual traditions. Psychosynthesists have developed ideas about the Self and techniques for exploring the many layers and dimensions of identity that one discovers in the course of pursuing growth into realms of higher consciousness. The growth process can be described as a series of identifications with ever-more inclusive wholes. The personality moves through cycles of integration, dis-integration, and re-integration wherein the individual disidentifies from the person he used to be and identifies with the person he has become. At the center of each new whole is an integrating factor, a center of awareness and will, a point of identity: a Self. In the psychosynthesis literature the terms “self,” “ego,” and “I,” have often been used interchangeably. However, dictionary definitions of these three reveal subtle differences. In my opinion, a clear delineation of “ego,” “self,” and “I” is a vital step toward an adequate psychosynthesis theory of the Self. To define,”ego” psychosynthesis can turn to psychoanalysis: “ego” is the aspect of the individual which is adapted to society. It consists of various functions, habits and defenses. It is comprised of conscious and unconscious contents of the personality. The personal “self” is considered to be a center of pure awareness in the personality; beyond any personality content. Its awareness encompasses one´s present sensations, feelings and thoughts, and its will is the power to choose. It is a non-judgmental observer, who makes conscious choices with a perspective on the personality as a whole. This personal self is described as a, projection of the Higher Self into the personality: it is superordinate to all personality contents. It is the coordinator, the director, the integrating center of the personality. Ego and “self,” then, denote specif states of consciousness related to the personality. The “I” moves through many´ states of consciousness: it is the subjective sense of identity at any given moment. For example, when identified with the “critic” subpersonality an individual says, “I am a critical person.” When centered, the same individual says, “I am not the critical part of me, I am the self-the one who is aware, the one who chooses.” During peak moments, the “I” is identified with the Higher Self: “I am wise and creative.” In a state of compjete transcendence of individuality there may be a direct experience of the Universal Self: “I am cosmic energy.” “I am God,” The terms “Higher Self” and”Universal Self” denote specific states of consciousness that transcend the personality. The Higher Self or Transpersonal Self is experienced as the highest and best within us. Its awareness is higher consciousness and its will is the sense of purpose and direction in life. Its awareness encompasses the past, present and future of the individual over a period of years, decades even whole lifetimes. This awareness includes the entire personality, the qualities and abilities of the superconscious, and a deep sense relationship with various groups and all humanity. The Universal Self is experienced as complete transcendence of separate individual or group identity. Its awareness is planetary consciousness and its will is the unfolding evolutionary pattern of humanity and all life on earth-the Universal Will. It has been described as union with cosmic forces, at-one-ment with a Divine Being, or as identification with the one Humanity as an organism within a living planetary entity. Before we can sense our identity as a self and transcend the personality, we evolve through a period of identification with the ego For many this is their primary identity throughout life. Rare moments of ego transcendence may occur but may occur but the conditioned identity soon reasserts its dominance in the personality. The ego is the result of particular culture and time, reflecting the belief and structures of family and society. Its concern is survival and maintenance of life style. When the personality is ego-dominated there Is a fair amount of automatic behavior many motives are unconscious and there is a lack of the sense of personal freedom. Often habit patterns predominate, even if one consciously doesn´t like them and wants to change. There is great usefulness in the ego´s coping patterns and subconscious behaviors: when we eat, get dressed, drive a car, or do other routines necessary for daily living, we can do them effectively without having to think through or relearn them each time. The process of evolution involves learning a skill, and when mastery is achieved, the details drop below the threshold of consciousness so we can operate efficiently, free to focus attention elsewhere. Thus the goal in psychosynthesis is not to eliminate ego, but to heal its neurotic aspects and to place it in perspective so it ceases to be the dominant force in the personality. Through personal psychosynthesis the center of identity shifts to the personal self. Tbe personal self, or centered self, is the pure awareness that is at the core of the ego. By contrast with the ego, the centered self is fully conscious. Its consciousness is also limited, but it is aware of its limits. The personal self can focus primarily on personal concerns and ego gratification as it evolves it shifts focus more and more to the transpersonal. The self can examine cultural conditional and choose alternative ways of perceiving the world. The self has the potential to discover the underlying dynamics of unconscious habit patterns and to choose new behaviors. While the ego is a product of the past the self is aware in the present and_moves toward the future. While ego-dominated behaviors reflect stereotyped responses, self-dominated behaviors are characterized by freedom of choice and spontaneity. While the ego is culture-bound the self can move toward changing conditions in society. The personal self is an evolving self. It is always at the center of the personality; and since the personality is growing into ever-more inclusive wholes, the center shifts accordingly. At the center of an expanded personality is a self with broader awareness and a greater range of choices that those of the previous self. There is always a next higher level of the centered self within the personality as evolution proceeds. The terms “Higher Self” or “Transpersonal Self” denote a distinct state of consciousness. Its major characteristics include purpose, wisdom, unconditional love and creativity. When we transcend our everyday behavior and have a peak experience we are identified with the Higher Self. Peak moments occur for many when they are out in nature and experience a connectedness with all life around them. Others experience peaks when everything functions perfectly in performing a task: it seems that there is a natural knowing of exactly what to do at each moment and all decisions and moves are correct. Others experience peak moments in high states of giving or receiving love, in deep experiences of beauty or goodness, or a profound sense of purpose and order in life. To illustrate that the Higher Self is a specific state of consciousness, an experiential level distinct from that of the personal self and the ego, let´s compare the perspectives of ordinary consciousness and higher consciousness. For most people, their ordinary consciousness is of the “I” shifting between ego and self or embracing some combination of the two. When we are identified with the ego, the experience of the Higher Self is repressed in the higher unconscious. When identified with the personal self, the potential to connect directly with the Higher Self is available and we can evolve toward fuller expression of our higher consciousness. From the perspective of ordinary consciousness, there are occasional flashes of insight, momentary awakenings to the consciousness of the Higher Self. The Higher Self is experienced as something deep within, or as something beyond, above or outside of us. From the perspective of higher consciousness, the ego is experienced as a partial identification; the personal self is experienced as a projection into the personality of the aware, integrative, synthesizing energies of higher consciousness. We have noted that a basic characteristic of the Higher Self is the sense of purpose. To ordinary consciousness there may be a lack of purpose. Life can seem meaningless, absurd. As the “I” is increasingly able to identify with the self, one´s purpose is glimpsed as “the next step ahead.” It may seem that the Higher Self is presenting a vision of future possibilities or calling. Some people sense the prompting of an inner wise guide, or the voice of the Lord. The energy of the Higher Self is experienced as a drive toward growth and transcendence. A classic symbol of the Higher Self in this aspect is a wise being, spiritual teacher or guide. When one identifies with the Higher Self there is immediate and complete understanding of the blueprint for one´s life. There is a deep knowing that this individual life has meaning and that one´s role in the world is part of a larger purpose. As a Higher Self, one is wise, with a profound understanding of self, others and life itself. There is a sense of having penetrated farther than usual into life´s mysteries. Other aspects of the Higher Self are illuminated by studying and contemplating another classic symbol of the Higher Self: a radiant point of light above the head that shines like the sun. This represents the source of our life energy, just as the sun is the source of life for the earth. Because it is above the head it represents a higher inspired part of us, above and beyond the thinking mind, symbolized by the brain. Because it always shines it represents the quality of unconditional love. The sun does not withhold its rays because of any rules of right and wrong. It simply shines on everyone, regardless of their behavior, with no conditions attached, asking nothing in return. The Higher Self has the quality of unconditional love for self and others. Human beings all over the world demonstrate a capacity to contact and express abundant love. Love is the basis of empathy and understanding: it holds relationships together and is a universal healing energy which nurtures our growth. Since people are deeply loving and empathetic when identified with the Higher Self, the Higher Self is said to of our interdependence and underlying unity. The personal self has consciousness of others too, yet it major purpose is to focus on ego needs and self-interest. As a personal self one can participate in group greed and selfishness as in an oppressive organization, subculture or nation. When identified with the Higher Self we experience directly our interrelated-ness with the whole human family. Our relationships are characterized by deep intimacy and rapport that transcends the usual boundaries of time and space and the usual world of the physical senses. The Higher-Self-dominated personality expresses a natural spirit of cooperation, participating in group activities to create a better world for all. The Higher Self is creative by nature. Maslow´s observation that healthy people are naturally creative indicates to me that our deeper identity is related to universal creative processes. As people grow, they tend to become more creative thinkers, more original and innovative in their approach to problem-solving and to all aspects of life. Spiritual psychosynthesis supports the development of creativity since this brings people into closer rapport with the Higher Self. Beyond this Higher Self, at the essence of human nature, at the spiritual core is an experience that transcends all sense of separateness which is associated with such experiences as mystical union, cosmic consciousness, communion with God. While the idea of a universal Self is mentioned by Assagioli, there is little detail in the psychosynthesis literature about this highest Self within us, although its will aspect is discussed briefly as the “Universal Will.” (Assagioli, 1973) Perhaps only a small percentage of human beings have experienced it. Here we have reached the limits of psychosynthesis, which values focusing on the practical. The ultimate nature of the Self and the experience of cosmic consciousness are not given much attention in psychosynthesis because of the already broad range encompassed by the tasks of integration of the personality and the synthesis of personality and higher consciousness. For people who have achieved a measure of synthesis, however, these become a natural next step ahead, and the work of psychosynthesis is transcended and included in an even vaster work on higher spiritual levels. Assagioli observed that most Western psychologies neglected the will, yet awareness and will are two fundamental attributes of the Self. Hi second book, The Act of Will, presents the construct “will” as going far beyond the Victorian concept of the strong, iron-clad will. Emphasis on the will as power has led to authoritarian personalities, rigidity, criticalness, harshness, cruelty, and oppressive political regimes. Psychosynthesists see power as just one aspect of our multidimensional will. Assagioli observed that most people directly experience a whole range of expressions of the will. They do make choices in everyday life, and they do set and achieve golds. Yet there is often the lack of a coherent will. The true sense of a will does not occur until there is a capacity to be centered~identified with the personal self. Often decisions are made by a subpersonality, and other parts of the personality later rebel. The individual is unable to follow through on a decision, or lacks the energy to achieve a goal. Our best-laid plans can be forgotten or sabotaged by our own bad habits or unconscious defenses. In the personality, the will energy may manifest physically in the form of drives and urges, emotionally as desire, and mentally as goal-setting and planning. In higher consciousness will can manifest as purpose, vision and ideals which give direction and meaning to human existence. The will, then, takes various forms at personal, group, planetary and cosmic levels. It is viewed here as a major type of universal energy which is expressed as a whole range of qualities including concentration, determination, patience, courage, discipline, mastery, intensity, power, organization, integration, and synthesis. The misuses and abuses of power by individuals, organizations and governments demonstrate the dangers to human life and well-being that result from the overemphasis on the will as strength. Psychosynthesists observe that the will can be developed in a constructive way by balancing the strong will with a good will and a skillful will. Individuals and groups can continue to safely develop higher and higher degrees of power and intensity so long as goodness and skill continue to be developed also and blended with strength. Qualities associated with strong will include courage, determination and decisiveness. The good will is an expression of will based on humanistic and spiritual values. Love for self and others is needed for a benevolent expression of power. The good will synthesizes self-interest with the interests of others. Qualities associated with the good will include patience, faithful-ness and right action. The skillful will is an expression of wisdom and the drive toward excellence. Discrimination, subtlety and refinement are needed to avoid the pitfalls of applying excessive force. The skillful will involves a good sense of timing, and appreciation of the steps required to achieve an objective. Qualities associated with skillful will include discipline, organization and mastery. Many people have had the experience that strong will alone is inadequate to achieve goals. Inhuman relations, the direct application of power can meet with resistance or rebellion. Skill in communication, goodwill and right timing can be crucial factors in effective problem-solving. Skill is also required to achieve excellence and mastery. In learning a musical instrument, for example, fine motor skills are required. Patience and discipline are needed to be effective: the skillful will is more important here than the strong will. The good will is needed to achieve personality integration and a synthesis of humanity. It is important to learn to develop tolerance for others´ weaknesses and to accept our own limitations and shadow side. When we hate another person, or reject a negative tendency in ourselves, we maintain a separation or split that prevents achievement of wholeness and harmony: there is struggle or conflict and the lack of a coherent will. Assagioli developed a model of six stages to describe the act of will. The model can clarify the nature of the process of moving from idea to action. The six stages are: (1) purpose, (2) deliberation, (3) decision, (4) affirmation, (5) planning, and (6) implementation. First we have dreams, goals or a purpose. We proceed to deliberate on the range of alternatives and the consequences of various choices available to us. We then make a decision to carry out that purpose, to achieve our goal. Next we affirm-say yes to-our intention, and work up the energy and resources we need to follow through. Then we proceed with planning, thinking through a sequence of steps toward the goal, placing dates on our calendar, making commitments, setting deadlines. Finally comes implementation of our plan. In this sixth stage we take physical action and our idea, vision or purpose manifests, becomes grounded. We monitor this action to be sure that we stay true to our original purpose, getting feedback and new information along the way that may require revision of the plan for effective implementation of the purpose. This model of stages is very helpful for activating the will. mobilizing oneself effectively. Ideally all of us will have developed all six stages of the will so that we can make our visions and dreams a reality with economy of effort. Some people find that their will is ineffective because they consistently skip one or more of the stages. Many people have wonderful ideas (stage 1) but never make a concrete plan (stage 5) that they could follow to make their dreams a reality. Others may be very active (stage 6) but without a clear sense of purpose (stage 1. so they are very husy yet accomplish little that is really satisfying. Others work toward specific goals (stage 1) but they have never clearly and definitely decided to carry through (stage 3), and inner conflicts sabotage their projects. At the ego level, there is the lack of a coherent will. Various subpersonalities vie for power and attention or stay locked in conflict. There is no consistent action toward defined goals. The will of the ego is the will to survive and to satisfy personal desires and to maintain one´s lifestyle. The striving toward goals may be at the expense of other people. The good will is underdeveloped, and strength and skill may be lacking. The will of the personal self, the personal will is the freedom to choose and take action based on conscious decisions. In setting clear directions we experience a strong sense of personal identity. Our choices in life help to determine who we are in the world. As we become integrated personalities. we can align our thoughts, desires and actions in the pursuit of goals, and our will can become very powerful. We may also become highly skillful. Psychosynthesis works simultaneously on personal and spiritual levels so that as the personality becomes integrated, it is also opened to the values and wisdom of higher consciousness. Hitler had a highly developed strong and skillful will. Goodness was missing. The qualities of the soul are needed so that the process of personality integration does not encourage tendencies toward an imbalance which is destructive of self and others. The Higher Self, by contrast with the personal self, functions essentially beyond the world of everyday choices. The will of the Higher Self-the Transpersonal Will-includes the inner blueprint. the growth patterns unfolding in the individual life over a period of years and decades. This will is basically the sense of purpose. The will of the Universal Self encompasses a growth pattern that is unfolding for all humanity. It is a planetary trend of evolution that is a synthesis of all individual purposes in a grand design of the Universal Will. As we study physical and social evolution over hundreds and thousands of years, we get a sense of this great Plan and we can choose to cooperate with it. In recent years, this movement forward–the next step is for all humanity–has been characterized by various writers as: The Greening of America (Reich, 1970); The Third Wave (Toffler,1980); The Transformation (Leonard, 1972); The New Renaissance (Gerard, 1973b); The New Copernican Revolution (Harman, 1969); New Ways of being (Houston, 1978); the Aquarian Conspiracy (Ferguson, 1980); and The New Age (Assagioli, 1981; Bailey, 1944, 1954; Gerard, 1973a; Rudhyar, 1975; Satin, 1976; Spangler, 1971). This universal change is a movement toward new values, new ways of being ourselves and the world. It is a spontaneous movement of individuals all over the world toward identifying more closely with the higher Self-a movement which could reach critical mass so humanity could be guided by a planetary synthesizing center of higher consciousness, a Universal Self. People are now called upon to become responsible world citizens. There are enormous human potentials to be released, limits to be transcended and inner resources to be tapped by liberating ourselves from the viewpoints and values of the particular nation and subculture in which we live. A declaration of universal human rights has been developed by the United Nations that all could follow. The Nuremberg trials of Nazi war criminals have held individuals responsible to place universal principles of human conduct above the authority of a particular leader, nation or group. Humanity is evolving mentally so that more and more individuals are learning to think for themselves, not blindly following leaders. As people find the means to change their consciousness from within they can form an enlightened public opinion that presses for world peace and goodwill toward all. There is a vision of a new civilization, a new world order, and a sense of optimism that in this time of international crisis with the danger of total destruction of life through nuclear holocaust, that humanity will rise to the occasion and triumph. These planet-wide movements toward synthesis are signs of the manifesting of an awareness of Universality and a Universal Will; and we are all subject to these unfolding evolutionary patterns. The choice for psychosynthesis is to participate in this progressive movement of a better world for all. This is the second of two companion articles written as a detailed response to the question, “What is psychosynthesis?” The first article, Psychosynthesis in Western Psychology, brought out many of the unique features of psychosynthesis by comparing and contrasting it with other psychologies and by highlighting major influences on the development of psychosynthesis over the past seventy years. This article presents seven sets of ideas which I see as the foundations for a theory of psychosynthesis: synthesis, personality, evolution, energy, higher consciousness, the Self, and the will. These basic constructs interweave to form a picture of a vast process of synthesis in human life. Psychosynthesis is one expression of that process in the field of Western psychology. The broad framework of ideas and practical methods of psychosynthesis can contribute to planetary health and well-being by providing guidance and inspiration to individuals and groups as we move through the great challenges of the last two decades of the twentieth century and beyond. Psychosynthesis aims to foster psychological healing and growth in the human personality: to nurture inherent patterns of evolution toward an integration of that personality into a sense of wholeness and harmony. Then a further integration with other personalities is actively developed as well as a synthesis with higher consciousness. Psychosynthesis recognizes that the average human being has awareness and mastery of only a small fraction of the energies of our universe and that there is a potential to expand through contacting and expressing the many levels and qualities of the Self and its central function, the will. Psychosynthesis emphasizes exploring the highest and best aspects of human nature and contributes toward the ideal of peace on earth and a high quality of life for all. At the same time, it recognizes the realities of the shadow side of human life-the individual and group pathology that is rampant in many quarters, and the clear and present dangers of ecocide and nuclear holocaust. Psychosynthesis acknowledges that humanity must go through far-reaching changes to achieve its highest ideals. Psychosynthesis affirms the inherent goodness evident in most human beings and the dawning of a New Age that gives us cause to be optimistic for ourselves and for future generations. While this article emphasizes ideas, and the larger context in which individuals live and grow, psychosynthesis in practice is a down-to-earth approach to human development with applications to personal and spiritual growth, psychotherapy, education, medicine, business and the creative arts. Assagioli, Roberto , “Las Terceras, Cuartas y Quintas Fuerzas,” Mexico City, Psychosynthesis Institute of Mexico City, Translated 1980. Assagioli, Roberto, Psychosynthesis, New York, The Viking Press, 1965a. Golas, Thaddeus, The Lazy Man´s Guide to Enlightenment, New York, Bantam Books, c. 1971. Maslow. Abraham, Toward A Psychology of Being, New York, D. Van Nostrand Co., c. 1968. Douglas Russell, M.S.W. co-created and taught psychosynthesis training courses for over a decade, starting in the early 1970´s. He has also worked as a psychotherapist and consultant in private practice, and as a medical social worker in traditional health care settings. In the 1980´s he switched his emphasis in psychosynthesis from training, to writing and publishing. He has written several articles on psychosynthesis theory, produced an audiotape on disidentification, published 5 issues of Psychosynthesis Digest, and co-authored 3 books. Also in the 80´s he did hospice social work, and associated his private practice with a holistic health and growth center. Currently, he works full time in the Department of Clinical Social Work at UCLA Medical Center, counseling patients and families in the ER and hospital, serving on committees, writing and publishing, and doing computer projects for improving the quality of care. Doug can be reached via e-mail at [email protected]t.com.